In 1902, H.P. Watson and his partners proposed constructing a thoroughly modern office building in the heart of the Minneapolis wholesale district. It was an unusual plan as there were no other office buildings in the district at the time. The building was to be known as Watson Block. For reasons unknown, the name of the building was changed to Commercial Building before construction was completed that same year. Watson’s gamble on the demand for offices paid off, and the building was leased by multiple tenants before construction was even complete. 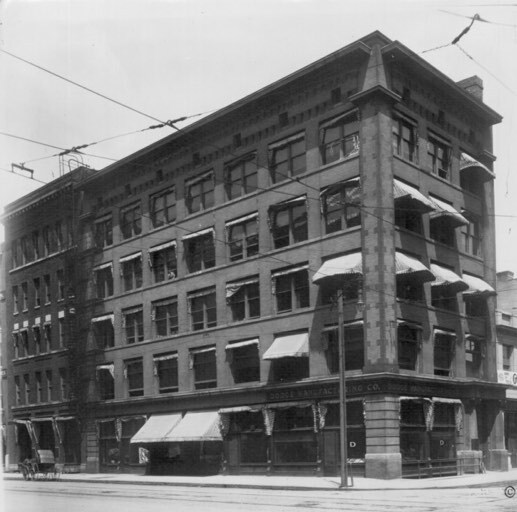 Early tenants included a booming real estate office owned by purveyors of rare and unique curios, the Minneapolis School of Engraving, the Phoenix Club, and R.G. Dun & Company, a mercantile agency, which later became Dun & Bradstreet. Over the years the building has been home to a number of unique tenants including Sharpe & Dohme, a pharmaceutical firm, which in 1932 was tapped to rush 500 pounds of serum to South Dakota to fight an anthrax epidemic. In 1938 former Minnesota Governor, Joseph Burnquist established his campaign headquarters in the building while campaigning for Attorney General. In the 1940’s and 50’s the International Ladies Garment Workers union occupied a portion of the building. Mary Dingman, who was part of the American delegation of the newly formed United Nations, and a field representative of the Women’s Action committee, visited the building to discuss the importance of supporting Europe following the end of WWII. In 1954, then Senator Hubert H. Humphrey paid a visit to the Ladies Garment Workers to gain support in his reelection campaign to the United States Senate. In 1958 the building suffered a massive four-alarm fire which sent six firemen to the hospital and completely destroyed the fifth floor. More than 115 years later, the building returns to its original name. 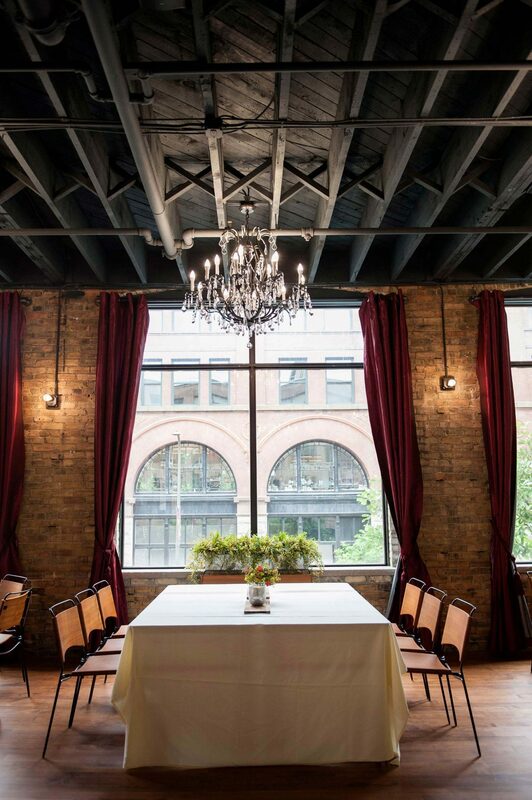 Watson Block is a gorgeous event venue located in Minneapolis’ Warehouse District. The venue is equipped to accommodate corporate events, social gatherings, non-profit events, and wedding receptions. The unique space combines the historic aesthetic of brick and timber construction along with elegant contemporary finishes.